Furnaces have been heating homes for more than a century – providing steady, reliable heat in the coldest of winters. However, if you need a new furnace there are quite a few options to choose from. You must decide which type of fuel your furnace will use, how big the furnace needs to be, and most importantly, who will install and maintain your furnace. Your furnace is a vital part of your home comfort system. Don’t trust just anyone with its care; call us today to learn more about our furnace services. 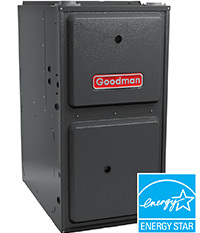 For those seeking a new furnace, there are three potential fuel sources from which to choose – gas, oil, and electric. The most popular of the three is gas because it’s the least expensive. Gas heating is very quiet and affordable for both installation and operation. The major issue with gas is that it’s not available in all areas. For those without a gas hookup, oil and electric furnaces are available. Oil furnaces are often the best solution for homes without gas availability. They are highly efficient, relatively quiet, and inexpensive to install. They don’t have quite the same energy efficiency ratings as the high-end gas furnaces on the market, but they are a great alternative for those who don’t have access to gas. Finally, there are electric furnaces. While exceptionally quiet and generally very efficient, electric furnaces have one major drawback – they cost more to operate than either gas or oil. However, if you don’t have access to gas or you’d simply prefer to avoid combustible fuels, the top–end electric furnaces will last much longer and require less maintenance each year than either gas or oil furnaces. Gas furnaces have the highest AFUE ratings on the market. This rating measures how much of the energy used by the furnace is actually converted into heat for your home. So, a furnace with an AFUE rating of 90% converts 90% of the gas it consumes into heat. All furnaces available today have AFUE ratings of at least 80% so you can rest assured that your new furnace will be very energy efficient. However, the higher end furnaces on the market have ratings of up to 98%, providing fantastic energy efficiency to cut down on your monthly heating bills. Keep in mind, however, that higher rated furnaces tend to cost more upfront. Because a furnace is so important to your family’s comfort and wellbeing, it needs to be properly maintained each year. Annual maintenance depends on the type of furnace you choose, but it usually involves cleaning the exhaust ports, checking the ductwork for debris, and ensuring all removable and replaceable parts are still working properly. If you notice that your furnace isn’t heating your home evenly or if there is a sudden increase in your energy bills, you may need further service or repairs. Most of the time, repairs can be done in advance, but if these symptoms are ignored, it can escalate to emergency repairs, so make sure to keep a close eye on your home comfort system. Let’s get started on your heater project. Call Standard Plumbing, Heating, and Air Conditioning or fill out our online form and one of our specialists will get back to you right away. We appreciate the opportunity to earn a 5-star review!